Billy Slater is a highly talented and decorated former rugby league football player who played his entire club career in the National Rugby League (NRL) for the Melbourne Storm and represented the Queensland State of Origin team, serving as the one-time captain of the team. The 5 feet 10 inches (178 cm) tall, 89 kg (196 lbs) heavy athlete who played the Fullback position, has the Storms club record for most tries and the NRL record for most tries by a fullback. Read on to find out more about his achievements, as well as the people in his personal life. Slater was born William Slater to Judy and Ron Slater on the 18th of June 1983 in Nambour, Queensland, Australia. From a very young age, Slater was said to have been a huge rugby league football and thoroughbred racing fan. As soon as he came of age, he began playing the contact sport for the Brothers club in Innisfail, Queensland. He went on to attend Innisfail State High School, graduating in 1999 at the age of 16. After high school, Billy Slater took a job as an assistant to racehorse trainer, Gai Waterhouse. He held the position for about 6 months before returning to pursue a professional career in his favourite sport. In 2003, Slater made his rugby league football debut for the Melbourne Storm. He played in different positions at the beginning of the season, before eventually settling at the fullback position. His debut campaign proved to be a stellar one, earning him the Dally M Rookie of the Year award as he was also his team’s highest try scorer. Billy Slater kept up his performances in the coming years, winning personal accolades like the 2007 Storms Back of the Year Award, the Rugby League World Golden Boot Award, the Rugby League International Federation’s International Player of the Year award and a spot at Fullback in the Melbourne Storm Team of the Decade, among many others, as he heavily contributed to his team’s NRL Premiership victories in 2007 and 2009. However, those championships were later stripped from the team after it was found that they gained an unfair advantage by breaching the salary cap. Despite the disappointment from the loss of titles, Slater and his team still went ahead to secure the NRL Premiership title in 2012 and 2017. The team further made an appearance at the 2018 NRL Grand Final which they lost to the Sydney Roosters. After the match, the Fullback announced his retirement from playing. He has since moved on to take a leadership role in the Australian Football League (AFL) club St. Kilda. With him being arguably one of the best fullbacks of his generation, Billy Slater has, for the most part of his career, always been the highest paid player on his team. In 2012, it was reported that the Melbourne Storm player was earning an average annual salary of 900,000 AUD. In 2018, just before he retired, the figure was said to have gone up to about 1,000,000 AUD per year. Slater, whose star status has attracted a number of sponsorship deals from companies like Australia Suzuki, has reportedly further earned an additional $1 million per year since 2011 from sponsors. With all that income, it is no surprise that he is estimated to have a net worth of about $18 million (£13.8m). According to reports, Slater has invested a good amount of money in real estate. He is said to have previously owned a Byron Bay hinterland retreat which he purchased for $1.105 million and later sold for about $1.375 million. He is now said to be building a brand new house that would come with a stable on a property outside Melbourne. Read Also: Ben Stokes Biography, Wife, Court Case, and Trial, Why Was He Arrested? 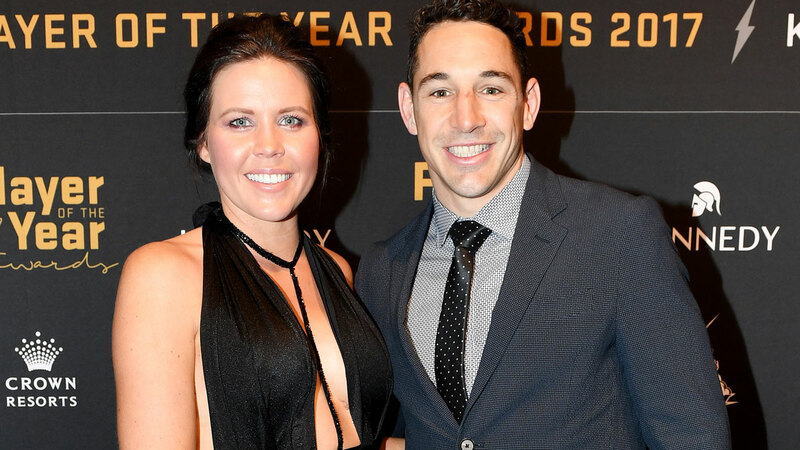 Billy Slater is happily married to Nicole Slater (née Rose). It is not clear when exactly the pair met each other or how long they dated before going on to exchange vows in November 2009 in Cairns, Australia. Together, the couple has welcomed two children; daughter Tyla Rose and son Jake. In 2017, after Slater was awarded the Clive Churchill Medal as the best player in the NRL Grand Final, tears came to his eyes as he thanked his life partner for the role she has played in his life. He thanked her for putting her life on standstill to support him through his various injuries and raising the kids when he was not around.